I am trying to pay a little more attention to the house between volunteer work. 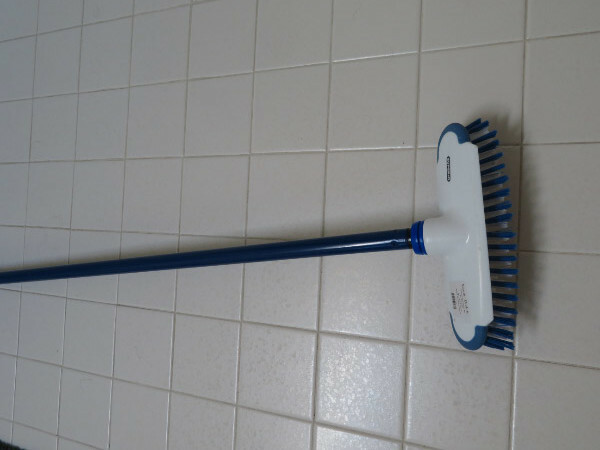 My new – and favorite – tool is a long-handled scrub brush that I bought about a month ago. Why did I not buy one before rather than delay any job that required scrubbing on my hands and knees? Now I make quick work of the tile floor in the bathrooms (cleaner than they’ve been in years) and the shower stall (base and lower walls), and even scrubbing in carpet cleaner that later gets vacuumed up. I might have to get one for outdoors – the deck and the garage – because this one is for indoors only!